Knight Frank Prime Global Cities Index. Sydney was previously in tenth place and Melbourne eleventh on the same index in Q1 2015. The index enables investors and developers to monitor and compare the performance of prime residential prices across key global cities, with prime property corresponding to the top five per cent of the wider housing market in each city. The Knight Frank Prime Global Cities Index increased globally by 2.5 per cent in the year to June 2015 across the 35 prime cities monitored. Top performers were the cities of Vancouver, Miami and Sydney increasing by 15%, 14% and 13% respectively in the year to June 2o15. Asian cities, with the exception of Singapore and Mainland China, are rising up the rankings with seven of the top ten cities now based in the Asia Pacific region. In the report, a breakdown by world region shows Australasia on top recording average growth of 10.2 per cent over the 12-month period, followed by Africa at 4.1 per cent; with Europe breaking positive territory with 0.8 per cent growth. According to Knight Frank's Director of Residential Research for Australia Michelle Ciesielski, "Across the globe, luxury residential values have been rising for 22 consecutive quarters, but the pace of growth has almost halved in the last year with annual growth falling from 5.2 per cent to 2.5 per cent. "However, Sydney prime residential property has experienced an upward trajectory with growth of 160 bps to 12.5 per cent in the year to June 2015, with 5.8 per cent recorded in the last three months alone. "Second quarter growth of 2.8 per cent for Melbourne prime saw the world's most liveable city witness growth of 7.9 per cent over the year; despite down 70 bps when compared to the first quarter's annual growth. "Knight Frank Residential Research has closely monitored those markets that have recovered best post-GFC. Cities demonstrating the strongest growth in prime property values have included Jakarta, Beijing and Shanghai at 175 per cent, 77 per cent and 65 per cent. "We've taken longer to recover than global counterparts in our prime residential markets as over this time, prime property values in Sydney grew a total 28 per cent, whilst the Melbourne prime market values are up 24 per cent. 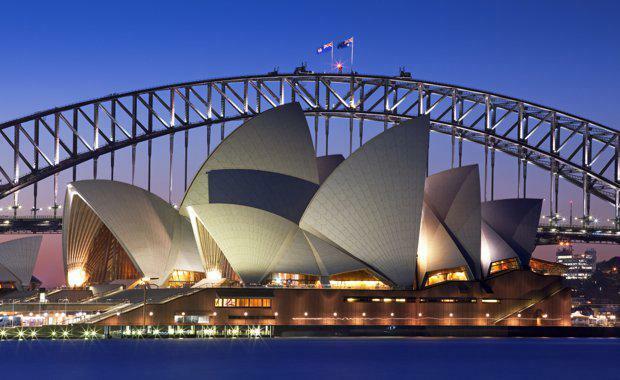 "Although in the last quarter, for the first time since monitoring began, Sydney has overtaken these three key cities with the strongest price growth over this post-Lehman period for annual growth recorded," Ms Ciesielski said. View the Knight Frank Prime Global Cities Index here.